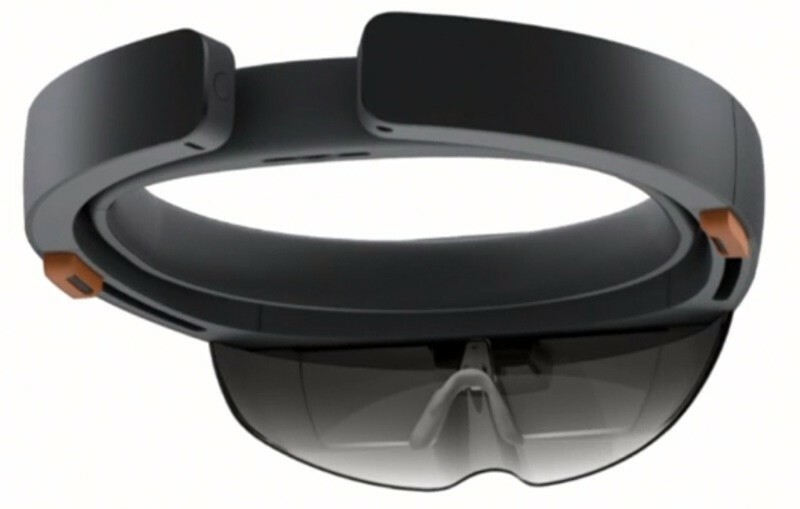 Avi Bar-Zeev, who was the co-creator of Microsoft's HoloLens, has left his position at Apple, reports Variety. "I left my full-time position at Apple in January. I had the best exit one can imagine. I have only nice things to say about Apple and won't comment on any specific product plans." Prior to joining Apple, Bar-Zeev worked at Microsoft and helped to found and invent the HoloLens, Microsoft's mixed reality headset. Before that, he worked at Disney and helped develop VR experiences, and he worked at Keyhole, a company that was purchased by Google and became the foundation of Apple Maps. Bar-Zeev had been at Apple since 2016, presumably on the AR/VR team. His LinkedIn profile said that he led the "experience prototyping" team "for a new effort." "Developed key prototypes to rapidly prove concepts, explore, educate and build support. Developed user stories and technical requirements for the long-term roadmap, while working across design and engineering to ensure success," reads Bar-Zeev's profile. Rumors have suggested Apple has a secret research unit comprising hundreds of employees working on AR and VR, exploring ways the emerging technologies can be used in future products. Apple is said to have developed multiple virtual and augmented reality headset prototypes, and rumors seem to have coalesced around a pair of smart glasses that will be coming as soon as next year. The Apple Glasses supposedly have a dedicated display, a built-in processor, and an "rOS" reality operating system based on iOS. There have also been a few rumors suggesting Apple is also exploring a powerful AR/VR headset with 8K displays for each eye and support for both AR and VR applications. It's not entirely clear just yet what Apple's first augmented or virtual reality headset will look like, but we may not have too much longer to wait to find out. Ummm how can it be vaporware if Apple has never announced a product. Heck we don't even know what the often rumored VR product will be. Vaporware is when a company announces and/or demos a product but never shipped it. The charging mat can be considered vaporware. A major new product will have been largely finished by now if it’s coming out in 2020. At this point in the cycle, they’re working on marketing and planning mass production. I can only see this amicable departure as “my job here is done”. As the iPhone has reached a growth ceiling and the Watch and AirPods have become Apple’s current successes with years of growth ahead, it’s clear that wearables is the future of the company. The trifecta of Watch + AirPods + Glasses have the potential to replace the iPhone as the always on us personal computer. 2020 is going to be a very important year for Apple. Here's a little secret about augmented and mixed reality - it's a cool technology that's looking for a problem to solve. What it does can be done through cheaper (and better at this point) technologies. Was a pocketable computer a technology looking for a problem to solve? I mean, we already had powerful laptops that we could carry with us. Have some vision. Omnipresent, yet unobtrusive technology is the future. That only happens if we can wear it. The Watch and AirPods are already here. The final piece are the glasses to superimpose information onto the real world. In the near future, we'll walk around with just our Watch which will be the centre of our digital lives. It'll host our digital assistant who we'll interact with primarily through voice. It'll be where we have access to all of our own personal data as well as all the publicly available information on the internet. It'll be how we communicate and how we are reached by others. It's also the most personal of personal computers, attached to our wrist, pressed against our skin measuring our vital data and making sense of it to help us improve our health and lead to a better quality of life. AirPods are an optional extension of that. Our assistant in our ears, a way to enjoy music, podcasts, news or have conversations. Want to watch something on a bigger screen? Apple is making an aggressive push to have AirPlay everywhere. Odds will be that there's a screen around you that you can AirPlay to from your Watch. Want a screen always on you? No problem, you can fit a foldable iPad into your pocket or you can wear Apple Glasses. Aside from providing the big screen component to the Watch, Augment Reality Glasses are the third revolution of the Internet. Rather than going to the internet to search for and consume information, the internet will be all around us, superimposed on to the real world. We won't go to Yelp to get reviews on a restaurant. We'll be out to eat and look around and see reviews of the restaurants around us. You won't go to Instagram. You'll look around and see photos people are sharing hovering over them. Want to know who's single and made themselves available? That cute girl seated a few tables away with her friends at your fav sushi place, she shared her single status. Welcome to the new Tinder. The future is wearables. It's going to happen whether or not you've realized it yet. In fact, it's already happening. I can only assume that turnover rate is high with apple company. Based on what? The 10 MR articles per year announcing that one of their 130,000 employees has left? I can only see this departure as “my job here is done”. certainly the optimistic tea read... the sinister version might be "this is so f*cked I'm out of here..."
Probably got what they needed from him. People leaving isn't always their choice. He also said he only has nice things to say. Great opinion with zero facts. I wonder if it'll be an attachment for glasses? or a pair of glasses that you need to put your prescription in. I guess they got us all wearing the same watch, so now we can all wear the same glasses. (hopefully this isn't the case - glasses are a lot more personal than a watch that's half hidden most of the time). The problem with glasses is how do they not make it like Google Glass, that ended up as a fail, in some due part because of privacy issues. Rumours over the past year point to retinal projection. Rather than special lenses, there’d be a projector capable of following eye movements and accurately emmiting images directly onto the wearer’s retina. This would allow the glasses to look fairly normal which I think is the critical element to mass adoption. If they look like a gadget, if you can see a screen anywhere on the lenses, they’re not going to be socially accepted. Further, it’s a fair guess that these are going to be an iPhone and/or Watch accessory, not self contained so they won’t require bulky electronics embedded in the frame. Apple will probably partner with a prescription glasses company, someone like Warby Parker, to order your prescription with the purchase of the Glasses. I expect several different models in different shapes and colours, similar to how the Watch was launched. Glasses are, after all, a fashion accessory first. That’s what Google got wrong.